Reaching your full potential as a weightlifter is all about correcting the basic mistake(s). Some things you cannot control for instance some conditions under which you have to train. I am referring to the conditions under which our Dutch lifters have to perform. • weak points can be the wrong weight category. If your weakness is technical work hard on correcting this technical error. Many weightlifters are only willing to work hard on their strong points and systematically neglect working hard on their weak points. Especially correcting your personal basic mistake can bring you very good results. If your problem is lack of strength then work hard on it. For instance if you lack leg strength and therefore often fail in the jerk then work on your legs. What does this mean? You should do squats every training day. Does this mean you should go heavy every training day? Of course not you go heavy perhaps once a week and the other days you will use medium to light weights to have active recovery. Overtraining of course is not the solution to your problem. If you feel there are errors in your training plan, or your training plan is not sophisticated enough you should find someone who can and is willing to help you to make a good plan. The solution is not to adopt a training plan from a professional weightlifter whose training -/ living and performance level is entirely different from yours. This more often than not does not produce the desired results. 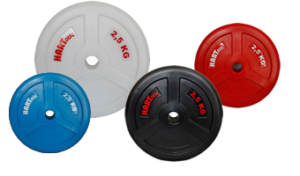 This is a problem many Dutch weightlifters are facing. The Dutch are generally speaking rather tall people. I remember a conversation I had back in 2011 and later in 2012 with a what I consider a very talented Dutch weightlifter who was in the -94 kg category. He is about 1,85 m tall and actually has two basic mistakes that needed to be corrected. I told him that his best chances to qualify for the 2016 Olympics were moving up in 2012 to the -105 kg category and from there to the +105 kg category to a bodyweight of about 130 kg. Why? His best total in training was 330 kg and in international competition 320 kg in the -94 kg category. Moving up by building more muscle to the -105 kg category would mean improving his total to 345 – 355 kg. Then moving up to the +105 kg category would mean another improvement of about 60 kg and would result in a total of a possible 415 kg by end 2014 or end 2015. Olympic qualification for a Dutch lifter in the +105 kg for London would mean an 8th place or better in 2010, or 2011. In 2010 a total of 416 kg would have been enough. His answer was: “Ye well who wants to get that heavy”? My answer was simple. You should do what is necessary and if it is moving up to 130 kg you should do it wether you like it or not. That is if you want to reach your goal/ potential. Is building that amount of muscle possible the natural way? Yes by using special programs designed to build muscle fast it is. You can gain about 10 – 12 kg muscle a year. He is his own trainer/ coach. This means he wrote most of the time his training programs himself and more often than not refused help from knowledgeable coaches. I already wrote an article on this that, although there are exceptions, this is not a good idea, because the lifter has not had enough time and experience to gather the required knowledge to write training plans for a top lifter. I sincerely feel if he had corrected these two basic mistakes in time he would very likely be able to qualify for the 2016 Olympics in Rio.